“Employee engagement” has been a buzzword for so long that we're all collectively wondering if it hasn't lost all meaning. It’s a similar story with “company culture”. While that begs the question, "Why are we all still talking about it? ", the answer is clearly "Because these issues are still relevant, still problematic, and still have more to be said about them." It’s not enough to talk about just culture, or just engagement. It's not even enough to talk about culture and engagement in terms of one another when there’s another part of the equation that rarely gets pulled in: Brand. Here’s a benchmark, albeit a concerning one, for how brand aligns with culture: In a poll taken during one of our recent webinars, 58% of attendees said their recruiting messaging was only “somewhat similar” to the reality of their company culture. A lot of employee disengagement has to do with this disconnect between initial expectations versus on-the-job realities. Think of what we mean when we say “truth in advertising". It's the same for hiring and employment. If you advertise your culture as something it’s not, you may hire rockstars, sure – but keeping them might prove to be difficult. When it comes to "truth in employment", here’s just a few things it can mean: Setting expectations with new hires. Not misrepresenting what their experience with their new company will be. Living up to the organization’s core values every day – and not just in promotional and/or hiring documents. Your core values are not your core values if you have to make an effort to go back to them – or if your employees don’t even know what they are. If this is the case in your organization – whether you know about it or not - you can bet that your actual culture in practice is not the culture you think it is, or wish it would be. Here's how career development culture ties in. Ultimately this problem comes down to the question of what exactly constitutes work-life balance, and how exactly we’re meant to achieve it. 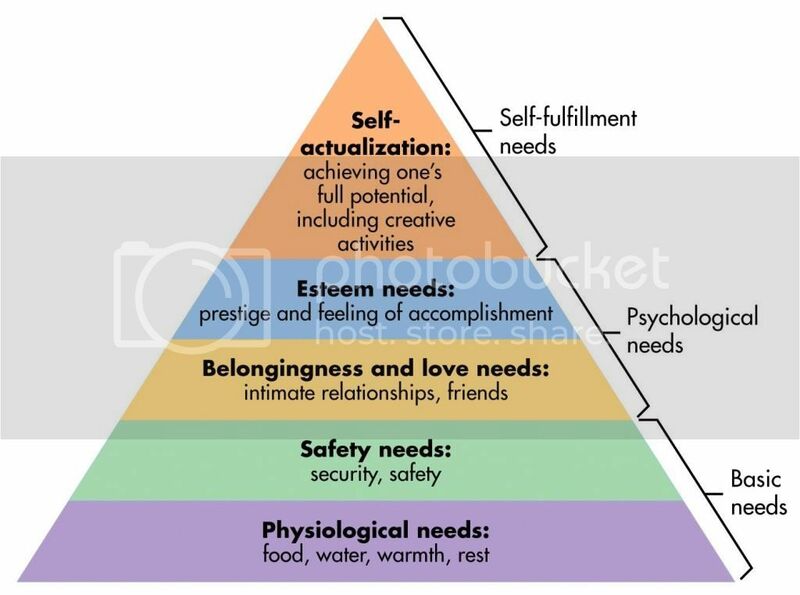 If nothing else, it’s important to realize that we can’t expect these needs to be fulfilled on “personal” time, or on the “life” end of “work-life balance”. We spend upwards of 40 hours per week working – depending on the culture of our industries or specific workplaces, some us may work even 70 or 80 hour work weeks. Let’s leave aside blanket statements about this being a good or bad thing, and simply agree that we spend a lot of our time working. If we are to achieve fulfillment of our needs – basic, psychological, and self-fulfillment – we have to bring our workplaces and their cultures into the equation. Baseline working requirements are safety and physiological-related. Everything else comes down to how your leadership and management treats and engages with employees, and how they encourage their employees to treat and engage with each other. In other words: your culture. In our article"Is Your Company Actively Resisting Employee Engagement, we mentioned that “actively disengaged” employees are often responding (or not responding as the case may be) to more than just a lack of recognition or benefits – they’re reacting to a whole host of restrictions inherent in their company culture related to diversity, discrimination, and their own development. Here’s the secret: they’re all related to each other. A culture that lacks career development and encouragement to pursue opportunities will yield a lot of employees who are unengaged with not only their work, but with their managers and colleagues, and finally, the company culture as a whole. Your employees want to see a future in your organization. Make sure you are giving them the skills and support they need to communicate their value, take career development opportunities, and grow in your organization. Learn about how to make the shift to a career development culture with our career development solutions.